Being aware of the signs and symptoms of sleep apnea can ensure you get the diagnosis and treatment you need and in a timely fashion. While many people know that snoring is associated with sleep apnea, they may not realize there are many more subtle symptoms. Not all snoring is associated with sleep apnea. Children with sleep apnea may have different symptoms, including poor school performance, hyperactivity, mouth breathing and hostile behavior. This behavior can occur both at school and at home, but will interfere with their daily activities overall. If you believe that you have sleep apnea, the first step in getting the care you need is by getting tested. 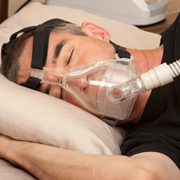 A sleep study can be performed in a sleep lab or at your home. While you sleep, your body will be connected to machines that monitor for other signs of sleep apnea, including your brain waves, breathing rate and blood oxygen level. After the test, treatment will be recommended. We may recommend an oral appliance as your first treatment. Oral appliances are effective for minor to moderate cases of sleep apnea and can ease the apnea episodes and alleviate associated symptoms. Call us today to learn more or to schedule your consultation with our Sleep Apnea Dentist In Pasadena.